N 48° 54' 0" and E 2° 31' 0"
Le Raincy in Seine-Saint-Denis (Île-de-France Region) with it's 13,246 inhabitants is a city in France a little north-east of Paris, the country's capital. Local time in Le Raincy is now 11:16 PM (Monday). The local timezone is named Europe / Paris with an UTC offset of 2 hours. We know of 10 airports in the vicinity of Le Raincy, of which 4 are larger airports. The closest airport in France is Paris-Le Bourget Airport in a distance of 6 mi (or 9 km), North-West. Besides the airports, there are other travel options available (check left side). There are several Unesco world heritage sites nearby. The closest heritage site in France is Paris, Banks of the Seine in a distance of 11 mi (or 17 km), West. We found 1 points of interest in the vicinity of this place. If you need a place to sleep, we compiled a list of available hotels close to the map centre further down the page. Depending on your travel schedule, you might want to pay a visit to some of the following locations: Bobigny, Nogent-sur-Marne, Creteil, Torcy and Saint-Denis. To further explore this place, just scroll down and browse the available info. Let's start with some photos from the area. 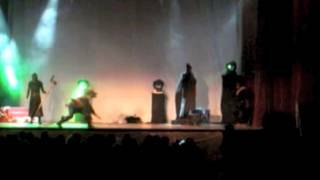 Voici le tout premier spectacle des Tabards, joué au Raincy, en 2009, à l'occasion de la grande soirée ExtravaDanse. 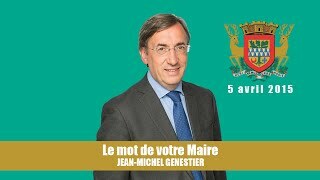 Cette vidéo est un extrait de la retransmission de la réunion publique. Nous sommes dans les questions / réponses et Roger Bodin explique sa position pour le deuxième tour. 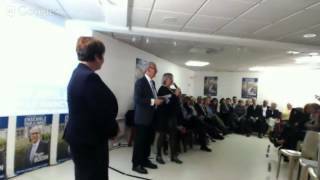 Allocution de M. Le Maire, Jean-Michel GENESTIER, à l'occasion de la rentrée 2014-2015. 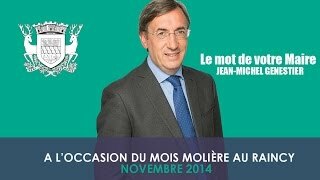 Allocution de Jean-Michel GENESTIER à l'occasion du lancement du Mois Molière au Raincy. 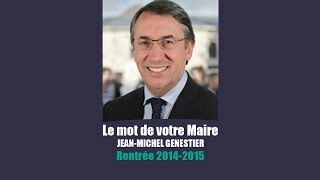 Le mot de votre Maire, Jean-Michel GENESTIER. Located at 48.8167, 2.48333 (Lat. / Lng. ), about 6 miles away. Beauté-sur-Marne is a royal castle near Vincennes, situated on the territory of the current commune of Nogent-sur-Marne. "Of all the pleasant and agreeable places one can find in this world, built in a suitable way, gay and pretty, to live and reside, that which is at the end of the forest of Vincennes, which was built by King Charles -- god grant him peace, joy, and health -- his eldest son, the Daupin of Viennois, gives the name of Beauty. Located at 48.8328, 2.47528 (Lat. / Lng. ), about 5 miles away. Located at 48.907, 2.433 (Lat. / Lng. ), about 4 miles away. Located at 48.8623, 2.44185 (Lat. / Lng. ), about 4 miles away. Aulnay-sous-Bois (SNCF) is the major railway station of the commune Aulnay-sous-Bois. It is served by the RER B and the Transilien K line. The station is also the terminus for tramway T4. \t\t \t\t\tGare d Aulnay-sous-Bois 05. jpg \t\t\t Tram platforms \t\t\t \t\t \t\t \t\t\tAULNAYS sous Bois - La gare. Located at 48.932, 2.494 (Lat. / Lng. ), about 2 miles away. Located at 48.9106, 2.43972 (Lat. / Lng. ), about 4 miles away. Located at 48.92, 2.455 (Lat. / Lng. ), about 3 miles away. 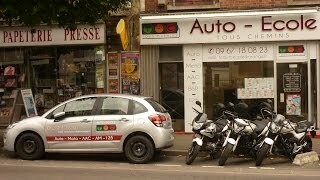 Clichy-sous-Bois (is a commune in the eastern suburbs of Paris, France. The vast majority of its population is made up of African heritage. It is in this city that the 2005 riots started. Clichy-sous-Bois is not served by any motorway or major road and no railway and therefore remains one of the most isolated of the inner suburbs of Paris. Located at 48.9097, 2.54806 (Lat. / Lng. ), about 2 miles away. Tramway line T4 is a tram-train line in Île-de-France, operating in part on SNCF lines just outside the city limits of Paris, connecting Bondy RER station with Aulnay-sous-Bois station on the 'Ligne des Coquetiers' (literally translated as 'Line of the Egg Cups'), which originally opened in 1875. It became the first French tram-train line when it opened on 18 November 2006, and unlike the other tramways in Île-de-France, T4 is operated by the SNCF. The line is used by 30,000 people daily. Located at 48.9319, 2.49639 (Lat. / Lng. ), about 2 miles away. Japan Expo is a convention on Japanese popular culture - the largest of its kind in Europe - taking place in Paris, France, although it has branched out into a partnership festival Kultima and expanded to include some European and US pop culture as well. It is held yearly in the beginning of July, for four days (usually from Thursday to Sunday), in the Parc des Expositions de Villepinte (second-largest convention center in France). Located at 48.9722, 2.51639 (Lat. / Lng. ), about 5 miles away. The École d'architecture de la ville et des territoires à Marne-la-Vallée is a fully accredited state-financed architecture school located in the east of Paris, France. It offers a bachelor of architecture in five years, and offers a new masters in town-planning and urban design. Located at 48.8411, 2.50694 (Lat. / Lng. ), about 4 miles away. The Church of Notre Dame du Raincy is a modern church built in 1922-23 by the French architects Auguste Perret and Gustave Perret in the commune of Le Raincy near Paris. It is considered a monument of modernism in architecture, using reinforced concrete in a manner that expresses the possibilities of the new material. Located at 48.8958, 2.51361 (Lat. / Lng. ), about 0 miles away. The RER station Val de Fontenay is a station in the Paris suburb Fontenay-sous-Bois. It is situated on the Paris–Mulhouse railway and provides an interchange between the RER lines A and E.
Located at 48.8542, 2.48889 (Lat. / Lng. ), about 3 miles away. The Parc Arboretum de Montfermeil (10.9 hectares) is a park and arboretum located in Montfermeil, Seine-Saint-Denis, Île-de-France, France. It is open daily without charge. The park was formed by combining two existing parks, the former parc du Château des Cèdres and parc Jean Valjean, with extensive landscaping during which 731 trees and bushes were planted, adding to those 489 trees already in place. It opened to the public in 2006. Located at 48.8966, 2.56971 (Lat. / Lng. ), about 2 miles away. Located at 48.8364, 2.45806 (Lat. / Lng. ), about 5 miles away. Located at 48.8258, 2.48806 (Lat. / Lng. ), about 5 miles away. Stade Georges Pompidou is a stadium in Valence, France. It is currently used for football matches and was the home stadium of ASOA Valence. The stadium holds 15,128 spectators. It is named after Georges Pompidou. On 8 February 2011 the stadium hosted an international friendly between Côte d'Ivoire and Mali. Côte d'Ivoire won the match 1-0. Located at 48.8767, 2.52222 (Lat. / Lng. ), about 2 miles away. Fort de Villers was built following the Franco-Prussian War to defend Paris. Located to the east of Paris in Villiers-sur-Marne, the fort was part of an outer ring of eighteen major fortifications built in response to improvements in the range and effectiveness of artillery since the construction of the Thiers fortifications of the 1840s. It was built in accordance with improved principles of fortification developed for the Séré de Rivières system. Located at 48.8333, 2.55556 (Lat. / Lng. ), about 5 miles away. The Canal de Chelles (Or Canal Vaires in Neuilly-sur-Marne) is a channel parallel to the Marne River. It connects the Marne River in Neuilly-sur-Marne to the Marne River in Vaires-sur-Marne. Construction began in 1848 when the government of the young Second Republic created the National Workshops to employ the unemployed. The work was abandoned shortly after due to lack of funding. It was started anew under Second Empire. The canal was opened in 1865. Located at 48.8542, 2.53595 (Lat. / Lng. ), about 3 miles away. Chelles-Gournay is a railway station in Chelles and Gournay-sur-Marne, Paris, Île-de-France, France. The station opened in 1849 and is located on the Paris Est - Strasbourg railway line. The station is served by Transilien line P (East Paris) and RER line E services operated by SNCF. Located at 48.8742, 2.58333 (Lat. / Lng. ), about 4 miles away. The station Bry-sur-Marne is an RER station in the Paris suburb Bry-sur-Marne. Located at 48.8444, 2.52611 (Lat. / Lng. ), about 4 miles away. The Parc des expositions de Paris-Nord Villepinte is a large convention center located in Villepinte near Paris Charles de Gaulle Airport. The center opened in 1982 and is the second-largest in France. The center encompasses 115 hectares and has 246,000 m of convention space in eight halls. The center is served by the Parc des Expositions station on the RER B. Located at 48.9711, 2.5175 (Lat. / Lng. ), about 5 miles away. Parc des Expositions is a station on the RER B's Airport branch. It is situated in the town of Villepinte in the Seine-Saint-Denis department and serves the Paris-Nord convention centre. The station is located at kilometere 21.01 of the airport branch of the RER B (branch B3). As part of the RER B upgrade, an additional platform is due to be built. The station sees services between Paris-Charles de Gaulle Airport and Robinson or Saint-Rémy-lès-Chevreuse via Gare du Nord in Paris. Located at 48.9736, 2.51444 (Lat. / Lng. ), about 5 miles away. These are some bigger and more relevant cities in the wider vivinity of Le Raincy.